Made with tomato, potato & spinach. 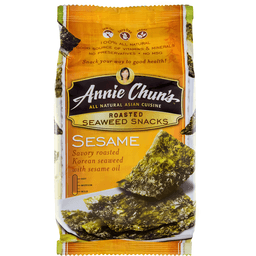 Per 30 g serving: 140 calories; 0.5 g sat fat (3% DV); 180 mg sodium (8% DV); 0 g sugars. Peanut free. Made with non-GMO ingredients. New look! Veggie Sticks are made with tomato, potato & spinach. Then they're seasoned with sea salt to bring out the subtle veggie flavors and prepared in 100% expeller pressed sunflower oil. 63 sticks per serving. This smart snack, with a satisfying crunch, will leave you with feeling of more good & less guilt. That is because it contains 40% less fat than the leading brand of regular potato chips (The fat content has been reduced from 10 grams per 28 g serving for regular potato chips to 6 grams per 30 g serving). From the makers of America's Favorite Pretzel Brand. Facebook: Check us out at facebook.com/eatsmartsnacks. 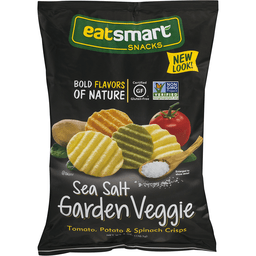 Twitter: Follow us on Twitter(at)eatsmartsnacks. Visit us at eatsmartsnacks.com. Made in the USA. Made with tomato, potato & spinach. Per 30 g Serving: 140 calories; 0.5 g sat fat (3% DV); 270 mg sodium (11% DV); less than 1 g sugars. Certified Gluten-free. Non GMO Project verified. nongmoproject.org. New look! EatSmart choice snacks. Veggie crisps are made with tomato, potato & spinach! Then they're seasoned with sea salt to bring out the subtle veggie flavors and prepared in 100% expeller pressed sunflower oil. 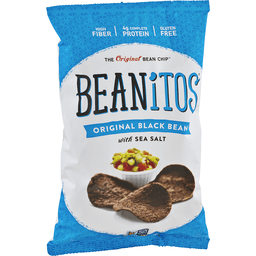 This non-GMO Project verified snack, with a satisfying crunch, will leave you with feelings of more good & less guilt because they are certified gluten-free and contain 40% less fat than the leading brand of regular potato chips (The fat content has been reduced from 10 grams per 28 g serving for regular potato chips to 6 grams per 30 g serving). From the maker of America's favorite Pretzel brand. Snyder's of Hanover. Visit us at eatsmartsnacks.com. Peanut free. Facebook: Check us out at facebook.com/eatsmartsnacks. 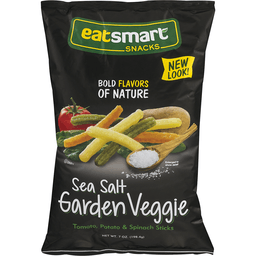 Twitter: Follow us on twitter (at)eatsmartsnacks. Made in the USA. Real vegetable chips. Non GMO. Taro. 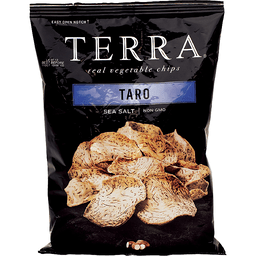 Over 20 years ago two forward thinking New York chefs created Terra Chips. From the first moment, people were hooked on the vibrant flavors and delectable crunch that comes from sourcing unique and diverse root vegetables from a select group of farmers. Today, the intimate process of crafting our chips remains with over 20 different varieties and flavors that are truly distinctive by nature. Taro, also known as malanga and dasheen, is distinguished by its characteristic purplish-brown lines. A native to Southeast Asia, it was first cultivated over 4,000 years ago, and introduced across the Pacific by ancestors of the Polynesians. Seed Savers Exchange: Passing on our Garden Heritage. Terra proudly supports Seed Savers Exchange, a non-profit organization dedicated to the preservation and proliferation of heirloom fruit and vegetable varieties. Seed Savers works to preserve not only the seeds, but also the history behind America's culturally diverse garden and food crop heritage. Learn more at seedsavers.org. Gluten free. TerraCycle. Recyclable through the TerraCycle network of collection programs www.terracycle.com. We guarantee the freshness of all our delicious Terra brand products when used by the date on the front of the package. 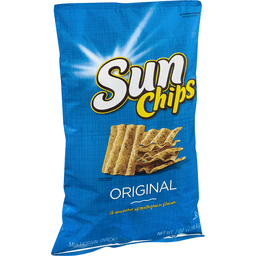 If you are not completely satisfied, please send us the empty package along with the reason for your return to: Terra Chips Consumer Relations, 4600 Sleepytime Drive, Boulder, CO 80301 or call 800-434-4246. www.terrachips.com. Made in Honduras. 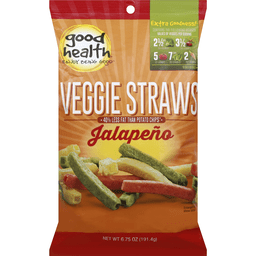 Good Health® Veggie Stix. Enjoy Being Good®. Sea salt. Non GMO Project Verified. nongmoproject.org. Six 1 oz bags inside. Total net wt 6 oz (170.1g) It's all about Lifeitude®! At Good Health®, we believe the secret to a great "Lifeitude®," aka loving life to the fullest, is feeling good. That's why we pack our Veggie Stix® with Extra Goodness™! Like nutrients (vitamins!) from tomatoes, spinach, beets, broccoli and carrots to deliver a truly delicious snack so you can... Enjoy Being Good®! Extra Goodness™! The following individual vitamin values found in 1 ounce of Veggie Stix® are also found in the following quantities of vegetables: 2 1/2 cups broccoli = 25% vitamin A! * (227g). 3 1/2 beets = 25% vitamin C! * (287g). 5 tomatoes = 15% vitamin E! * (615g). 7 cups spinach = 20% vitamin B6! * (210g). 2 carrots = 20% vitamin K! * (122g). *Percent daily value based on a 2,000 calorie a day diet. No artificial colors. No added preservatives. No hydrogenated oils. 0g trans fat. Notice the appearance of seasoning on Veggie Stix® It's the Extra Goodness™! (aka concentrated nutrients) from richly colored vegetables like red tomatoes, purple beets and orange carrots! Try our other delightful snacks! Veggie straws. Half Naked® popcorn. Apple chips. 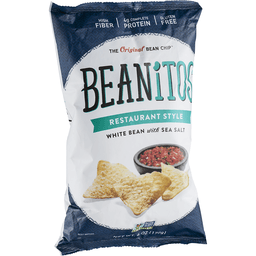 *Contains 5 grams total fat per 1 ounce serving vs the leading brand of regular potato chips at 10 grams per 1 ounce serving. www.goodhealthsnacks.com. Garlic & herbs. Parsnip. Taro. Sweet potato. Yuca. Batata. Non GMO. Non GMO Project verified. nongmoproject.org. If you are not completely satisfied, please call 888-234-6704. www.terrachips.com. Gluten free. Teracycle: Recyclable through the Teracycle network of collection programs www.terracycle.com. 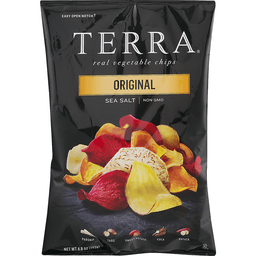 Over 20 years ago two forward thinking New York chefs created Terra chips. From the first moment, people were hooked on the vibrant flavors and delectable crunch that comes from sourcing unique and diverse root vegetables from a select group of farmers. Today, the intimate process of crafter our chips remains with over 20 different varieties and flavors that are truly distinctive by nature. Taro: (Also known as Malanga and Dasheen) The white chip with the characteristic purplish-brown lines. Sweet Potato: (A distinct variety of the of the Ipomoea Batatas) A glorious late-summer orange. Batata: (Boniato or Cuban sweet potato) Light brown in color, yet darker than the Yuca. Batata has been savored in the Caribbean for centuries. Parsnip: A member of the same family as carrots, fennel, parsley, celery, celeriac and chervil. Yuca: (Cassava) The lightest of color of the Terra Chips, plate yellow-white. 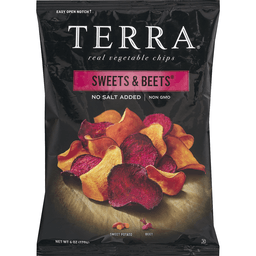 Ruby Dipped Vegetables: Perhaps the most dramatic, these Terra Chips are kissed with the beet juice, resulting in the distinctive autumn red color. Seed Savers Exchange: Passing on our garden heritage. Terra proudly supports Seed Savers Exchange, a non-profit organization dedicated to the perseveration and proliferation of heirloom fruit and vegetable varieties. Seed Savers works to preserve not only the seeds, but also the history behind America's culturally diverse garden and food crop heritage. Learn more at seedsavers.org. Gourmet quinoa snack. Simple ingredients - Simply delicious. All natural quinoa. Non GMO Project verified. nongmoproject.org. Certified gluten-free. Vegan. 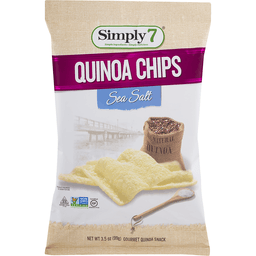 What are Quinoa Chips? We take the ancient grain, quinoa, and bake its flavors & benefits into a bite-sized snack. Paired with your favorite dips, these Simply Delicious snacks offer a healthier crunch. Welcome to your new favorite chip! 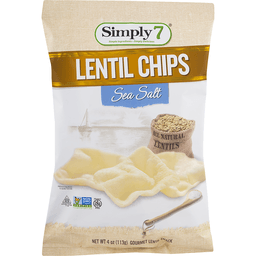 7 Simple Standards: At Simply 7, we're passionate about making great-tasting, wholesome snacks for ever lifestyle! We make all of our chips delicious nutritious, and in line with our 7 simple standards. Keep snacking Simply! 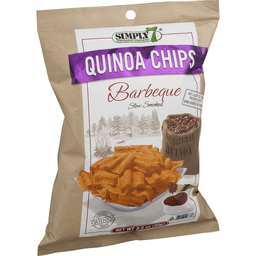 The Simply 7 Team: clean ingredients; no added preservatives; 0 grams trans fat; no artificial colors or flavors; gluten free; simple ingredients; simply delicious. Facebook: facebook.com/simply7snacks. Simply7snacks.com. Check out our other great-tasting snacks and get started on a healthy lifestyle. Twitter: (At) simply7snacks. Made in the USA. 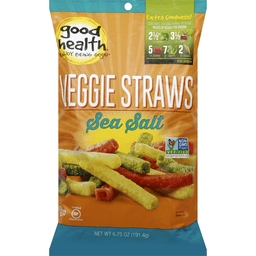 Good Health® Sea Salt Veggie Straws. Enjoy Being Good®. Non GMO Project Verified. nongmoproject.org. 40% less fat than potato chips*. Six 1 oz bags inside. Total net wt 6 oz (170.1g). It's all about Lifeitude®! At Good Health®, we believe the secret to a great "Lifeitude®," aka loving life to the fullest, is feeling good. That's why we pack our veggie straws with Extra Goodness!™ like nutrients (vitamins!) 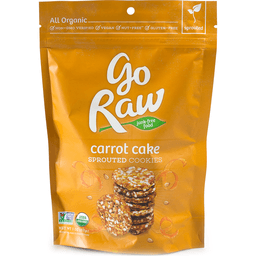 from tomatoes, spinach, beets, broccoli and carrots to deliver a truly delicious snack so you can... Enjoy Being Good!®. Extra Goodness!™: The following individual vitamin values found in 1 ounce of veggie straws are also found in the following quantities of vegetables: 2 1/2 cups broccoli = 25% vitamin A! * (227g). 3 1/2 beets = 25% vitamin C! * (287g). 5 tomatoes = 15% vitamin E! * (615g). 7 cups spinach = 20% vitamin B6! * (210g). 2 carrots = 20% vitamin K! * (122g). *Percent daily value based on a 2,000 calorie a day diet. No artificial colors. No added preservatives. No hydrogenated oils. 0g trans fat. 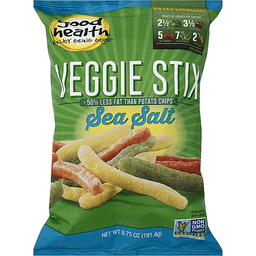 Notice the appearance of seasoning on veggie straws It's the Extra Goodness!™ (aka concentrated nutrients) from richly colored vegetables like red tomatoes, purple beets and orange carrots! Try our other delightful snacks! Veggie Stix® Hard Naked® popcorn. Apple chips. 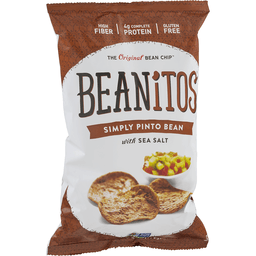 *Contains 6 grams total fat per 1 ounce serving vs. the leading brand of regular potato chips at 10 grams per 1 ounce serving. www.goodhealthsnacks.com. Breaking News: Read all about it: vegan, kosher, Halal, non GMO, no MSG, no Dairy, no artificial ingredients, no artificial flavors or coloring, no hydrogenated fats, 0 g trans fats. This just in. Consumers are moving more and more towards wholesome snacks! 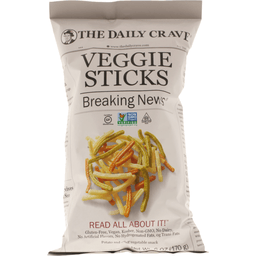 The Daily Crave Veggie Sticks have been found to be a delicious way to satisfy your taste buds without all the guilt. 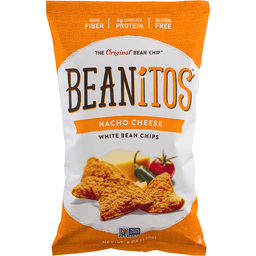 With all wholesome and non GMO ingredients, you can snack to your heart's desire! Perfectly seasoned, you will get a burst of flavor in every bite. Actual stick colors may vary from the picture of the product. www.thedailycrave.com. Give in to your cravings. Facebook. Twitter. News Flash: Eating wholesome snacks is all the rage. Say goodbye to greasy chips that are full of artificial ingredients, flavors and colors. 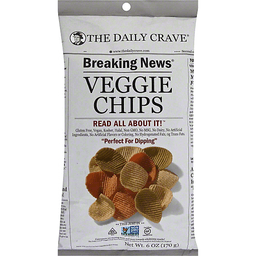 The Daily Crave Veggie Chips contain none of the bad stuff but still gives you all the great taste you desire. 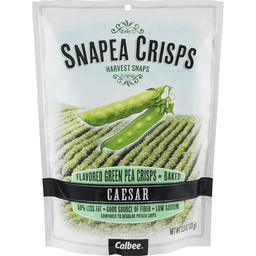 Totally vegan with no preservatives, snacking well never tasted so good. So when you're longing to munch, reach for The Daily Crave. Princess diary opened. High-maintenance celebrity admits secret vice. I've made it clear to my people that I just can't go on stage unless I eat a whole bag, said Beverly Hills diva Amanda Lenz to a tabloid reporter. They're simply fabulous! Like me! Lenz was referring to a particular brand of vegetable snacks, she claims that they calm her emotions and allow her to be grounded when she faces screaming fans. It's all about balancing your energy she bragged. Online today. In the media. Vegan snacks! 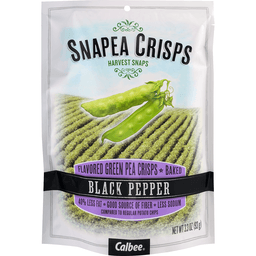 A tasty alternative with more people following a vegan lifestyle you may think it's difficult to find snack foods that fit the bill. Fortunately, there's a good variety of non GMO and vegan snacks available at your favorite supermarket that are just as delicious as the non-vegan ones. 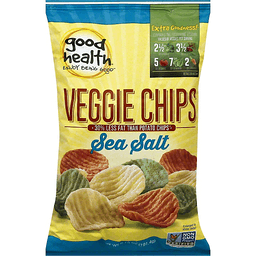 Products like Veggie Chips, Veggie Sticks and Veggie Skinniez give the crunch we all love and the taste that we crave. So give in to your cravings! Top Stories. News flash. Missing mountaineer Found Alive. Food supplies key to preservation. Five months ago, a veteran wilderness expert disappeared during an expedition in the Alaskan wilderness. he gave a Juneau grocery market owner quite a surprise when he walked right out of the woods into the store and immediately headed for the snack aisle. Later questioned by police, he claimed to have survived solely on the veggie snacks he had taken with him. Incidentally, he had lost his wallet in the wilderness and was arrested for shoplifting more veggie snacks. Local News. Hot Topic. Authorities capture infamous Bank Bandit. Consumption preferences lead to arrest. After a string of daring bank robberies from coast to coast the alleged bank bandit was take into custody yesterday. Authorities credited the capture to the signature crumbs left at every crime scene. 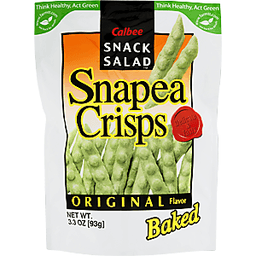 The arrested man is apparently addicted to vegetable snacks, and the authorities indentified him by tracing large shipments of the snacks to a suburban apartment. Made in USA. 5 g plant based protein per serving. 4 g fiber (Contains 6 g total fat per 1 oz serving) per serving. Non GMO Project verified. nongmoproject.org. Super powerful beans. Be an innovator. Gluten free. Certified Gluten Free by the GCFO. Vegetarian. Good for People: Good source of fiber (Contains 6 g total fat per 1 oz serving). All the fiber - without all the toots. Non GMO. No preservatives. Antioxidants from polyphenols. Farm to bag. Good for the Planet: Made from a sustainable crop. Beans return nutrients to the soil. Bean Variety: Great northern. Bean Origin: Nebraska. Flavor Notes: Smokey caramel, hint of tomato. Sourced from American farmers. It's good bean' spicy. A little attitude mixed with a little excitement. Now that's the kind of pizazz that'll serve anybody well. Spicy enough to stand up for what you believe In, and sweet enough to do It with a smile. Yup, we took our cues from yummy inspiration like this. Which is why we gave our delicious Chipotle BBQ chips the perfect balance of kickin' flavor and bold fun. So rip open a bag, be sweet and stay spicy. Clinically tested as Low Glycemic Index by GI Labs Inc. Est. 2010. 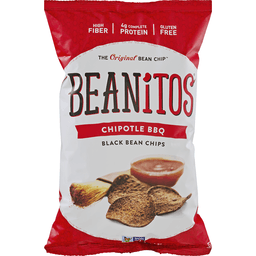 Find the good at beanitos.com. Born in Austin - TX. Real live food. 100% organic. Gluten free. Wheat free. Nut free (contains sesame seeds, coconut). All live (dried under 105 degrees F). All seeds sprouted. No GMOs. No trans fat. No cholesterol. All hand made. All raw kitchen. All family owned. USDA organic. Why raw? All content has been dried under 105 degrees F and all seeds have been sprouted, releasing enzymes which make them healthier and easier to digest. 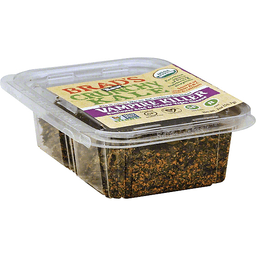 Sprouted seeds are among the most nutritionally dense foods on the planet. Raw. Vegan. Certified organic. Certified wheat/gluten free. These Carrot Cake Super Cookies are a perfect healthy treat. All the flavor in the world without any added sugar! Gently dried under 105 degrees F, they're alive and more nutritious and easier to digest as a result. Super kid friendly! Very low sodium. 100 mg omega-6 (per serving). 25% vitamin A (per serving). 320 mg potassium (per serving). Creating real live food is our passion. We source the best: The very best organic seeds are selected, preferably from local growers. We sprout with care: The seeds are optically sorted, soaked in filtered water, rinsed, then sprouted to perfection. We craft the finest: The finest organic ingredients are mixed in, then hand spread on trays. The mix is loaded into custom-built dehydrators and slow dried at an average 98 degrees F to maximize enzymatic and nutritional integrity and flavor. We pack with a promise: Our products are packed and refrigerated exclusively in-house on dedicated equipment for uncompromised taste and freshness. Our pledge: provide the healthiest, most flavorful foods ever made. No nonsense. No gimmicks. Please note: products may vary in texture, color & flavor due to seasonal and crop variances. Our quality guarantee: if you are not fully satisfied, we will gladly replace any product for any reason. Simply contact. Hand made. Certified organic by: Organic Certifiers. Certified gluten-free. Third edition. www.thedailycrave.com. Like Us on: Facebook; Instagram; Twitter. Certified gluten-free. Gluten free. Vegan. Non GMO. No dairy. No artificial flavors. No hydrogenated fat. 0 g trans fats. Non GMO Project verified. nongmoproject.org. Perfect for dipping. Potato and other vegetable snack. Picture of the product that been minified to show texture. Give in to your cravings. Local News: Hot Topic: Winning formula. Snacks part of fight night ritual. In an exclusive interview, Brazilian mixed marital arts champion Roberto Cinza discussed his-prefight of consuming The Daily Crave's veggie snacks. The night won the title, I had eaten my favorite veggies snacks before warm-ups, Cinza stated. It may no fit in with my macho image, but now I eat them before every fight. His superstition seems to be working, as he is now undefeated. Rumor has it that Cinza's arch rival, American mixed marital acts champion Dan pierce, has now begun consuming the same brand of snacks. Top story. News flash. Man survives days at sea. Improved flotation devices key to survival. After his sailboat sank in a storm, veteran sailor Joe Edu was without a life preserver. He was, however, able to secure several bags og the Daily Crave's veggie chips and sticks to his arms as flotation aids. When the coast guard rescued him, he claimed have fended off shark by sharing the snacks. Exclusive report. Read all about it. Interview with CEO. Founder discusses snacking philosophy. In an exclusive interview with the founder and CEO of the daily crave, Hass A. discussed his passion for better snacking. When asked what drives him, he emphasized the following core principles. 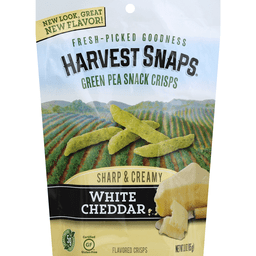 Non-GMO project verified ingredients, certified gluten-free products, no artificial flavors or preservatives, no hydrogenated fats, kosher certified, and amazing taste and crunch. When questioned whether he had any words for the daily craves fans, Hass exclaimed, go ahead and give in to your cravings! This just in. breaking news. Thriving with a gluten free lifestyle. 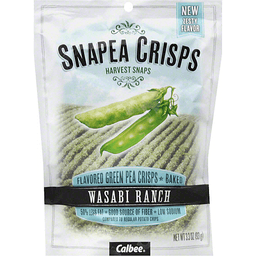 Snacking well never tasted so good! Say goodbye to greasy chips that are full of artificial additives. The daily crave veggie chips and veggie sticks contain no artificial preservatives or flavors and still give you all the great taste you desire. 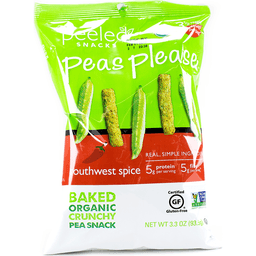 These taste alternative snack get in perfectly with a gluten-free lifestyle while delivering the crunch we all love. People looking satisfying snacks no longer have to sacrifice with simple ingredients you pronounce, snacking well tasted so good! Made in USA. 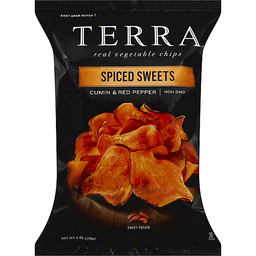 Terra® Real Vegetable Chips Sweets Medley™. Sea Salt. Batata. Sweet Potato. Purple Sweet Potato. Net Wt 5.75 OZ (163 g). 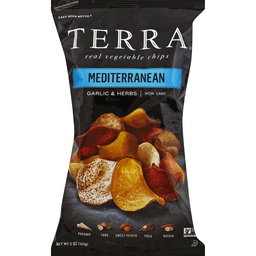 Over 20 years ago two forward thinking New York chefs created Terra® Chips. From the first moment, people were hooked on the vibrant flavors and delectable crunch that comes from sourcing unique and diverse root vegetables from a select group of farmers. Today, the Intimate process of crafting our chips remains with over 20 different varieties and flavors that are truly distinctive by nature. Purple Sweet Potato: Deliciously purple from its skin to its core, it gets its distinct color from anthocyanin, a flavonoid found in abundance in this sweet potato. Batata: (Boniato or Cuban Sweet Potato). Light brown in color, yet darker than the Yuca. Batata has been savored in the Caribbean for centuries. Sweet Potato: (A distinct variety of the Ipomoea Batatas). A glorious late-summer orange. Gluten free. Non GMO. 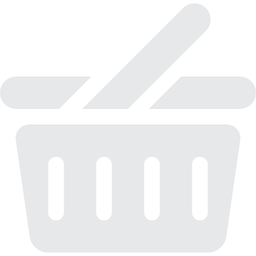 Recyclable through the TerraCycle® network of collection programs www.terracycle.com. We guarantee the freshness of all our delicious Terra® brand products. 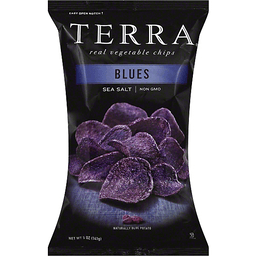 If you are not completely satisfied, please send us the empty package along with the reason for your return to: Terra® Chips Consumer Relations, 4600 Sleepytime Drive, Boulder, CO 80301 or Call: 800-434-4246. www.terrachips.com. ©2014 The Hain Celestial Group, Inc.